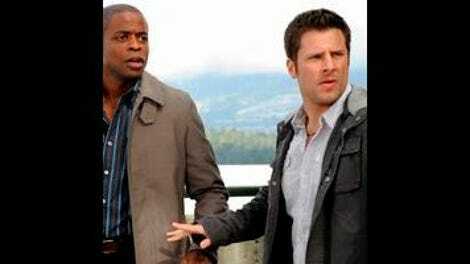 A show like Psych is only slightly different from all of the other procedurals on television. With a bit more grit in the cinematography, it could’ve been an episode of Castle. It could have been an episode of CSI, CSI: Miami, or CSI: New York with a tint of green, orange, or blue, respectively. What distinguishes Psych from its procedural counterparts is a laid-back attitude and an insistence on humor over grotesque details. If you want the nitty-gritty, go to CBS for the crime scenes, and if you want better acting, watch Castle, but Psych is the probably the best bet for cable procedurals outside of Law & Order re-runs. In the season premiere, I noted how Psych does theme episodes like Community, a much more beloved series despite its cellar-dwelling ratings. Community does far more with its theme episodes as far as tying them in to some kind of plot advancement, and it’s only a half-hour single camera comedy. Baseball is tonight’s theme, and since the impetus for Shawn taking the case comes privately as opposed to as a criminal case through the Santa Barbara Police Department, Lassiter, Juliet, and most police proceedings are complete nonfactors. The episode opens on a flashback to the Santa Barbara Seabirds, a minor league baseball team that employs Shawn as a batboy. Danny Glover is there as the Manager, but Shawn looks up to Cal, the rising star player destined for the majors. In the present, Glover comes to Shawn claiming his longtime hitting coach died suddenly, and the Psych team investigates a mysterious death yet again. There are star players, up-and-comers, accusations of greenies being used, a Bull Durham-esque prospect turning up dead, and a GM that gets demonized for his money-centric job. It’s an episode completely outside anything that has gone on this season, and won’t relate to anything down the line. On Psych, there are maybe two seasons of serialized plots that have been generously stretched to last over five seasons. That leaves a lot of episodes that spin their wheels with familiar characters while advancing absolutely nothing. When that happens, either the episodic plots take over with aplomb, with the humor elevating the intrigue of a particularly interesting case to merit recognition, or the lack of any overall arc nukes the enjoyment. Tonight was one of the latter episodes. Danny Glover did fine, though the script didn’t give him much more than the opportunity to stand around, be Danny Glover, and collect a paycheck. His character had a name, but it doesn’t matter, because who am I kidding, everyone will either refer to him as Murtaugh or Danny Glover. It’s stunt casting of the first order. Wade Boggs also wanders in, to the delight of anyone who really likes Wade Boggs, but again, stunt casting of the highest order. 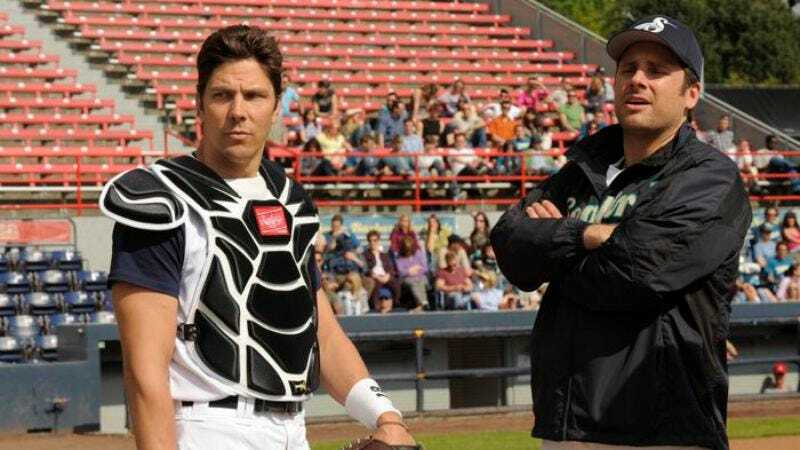 If this was Psych’s version of “Homer at the Bat” it failed miserably in doing anything with America’s pastime that got the cast involved in a meaningful way. It was as though merely using a plotline related to baseball would forgive weak effort in other parts of the show. Even the psychic elements seemed more telegraphed than usual. The show made special effort to make the former star player Cal out to be the villain, going so far as to double back on him twice as a suspect, just in case they didn’t succeed in making anyone take him seriously as a possibility, before pulling the typical fake-out again. Part of a good mystery is being able to drop various hints along the way, and having them add up after the fact. To me, a weaker mystery constantly throws the audience in different directions, until a very obvious hand comes in to direct the audience through the final turn, one of the suspects, seemingly chosen at random from a lineup of potential perpetrators. That’s what Psych did tonight, and without much of the usual levels of fun. It was deliberately obscure and misleading, but without much in the way of humor to redeem it. Dule Hill gave a typically outlandish performance in a mascot costume, but he’s reduced to delivering lines in a cadence that has become so expected it could lull anyone to sleep. The baseball players’ mistreatment of Shawn kept his arrogance nicely in check, so nothing got out of hand into the purely obnoxious, but there wasn’t enough humor landing to keep the episode afloat. Even with something as intrinsically likeable as baseball, Psych managed to throw so many twists on the board with so little of the lasting characters that keep viewers attached that “Dead Man’s Curveball” went down looking, when it should’ve at least been swinging for the fences. They used the longer credits sequence this week. Just a note of that because it meant less of the actual episode. The running joke that Gus mistakes the use of the Seabird team name to mean “sea bird” the animal, which he’s very interested in, landed once, but going back to that joke again later in the episode felt like overusing something clever. Shawn’s first accusation of Cal, with a big list of things he believes in, offered a few laughs. Otherwise, I didn’t find anything very funny. The whole police softball league thing was done way better with intrinsic historical context on The Chicago Code last winter/spring.